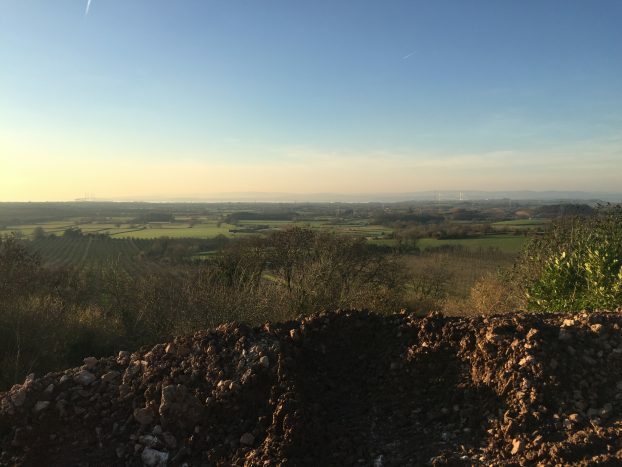 This exclusive development is on a short, steep slope to the rear of a large existing property in Bristol with unbelievable panoramas over the River Severn to Wales. 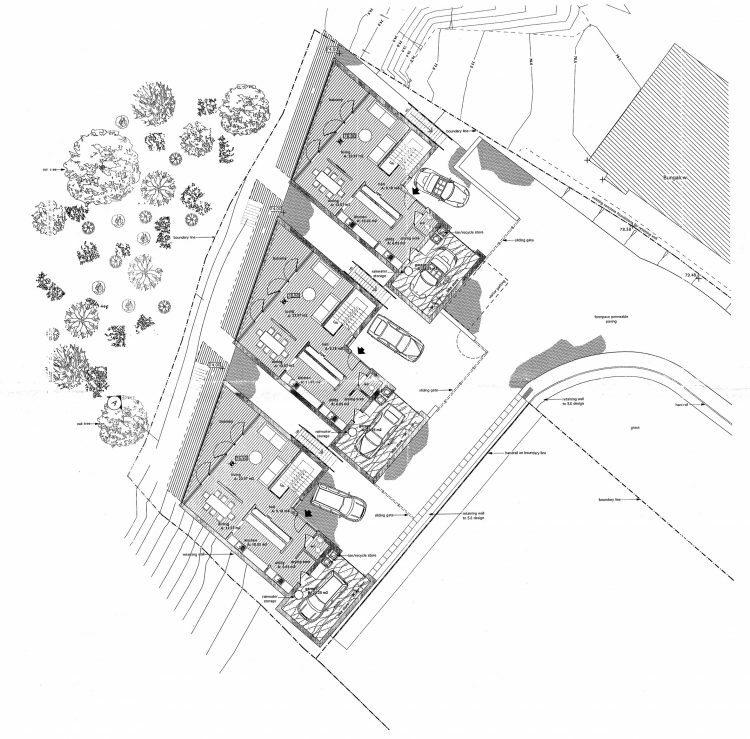 The project consists of three four bedroom units which will be cut into the side of the slope, with a new shared access road, integral garages and terraces to both floors. 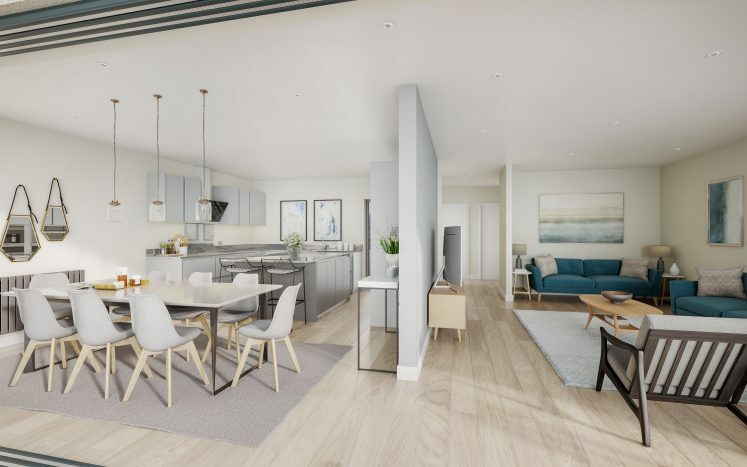 The entrance is at upper ground floor level, where the main open plan living accommodation is provided. Four bedrooms, a bathroom, en-suite and store room are located on the lower ground floor. A sedum roof has been proposed. The walls will be formed in Durisol, an insulated concrete formwork, where the pre-insulated blocks are dry stacked together to form the walls. They are then in-filled with concrete to form a monolithic structural walling system, making it a fast method of construction. Thinner internal Durisol blocks will provide stability, and the first floor will be constructed using engineered timber joists to reduce weight and cost, supported by the Durisol walls below. 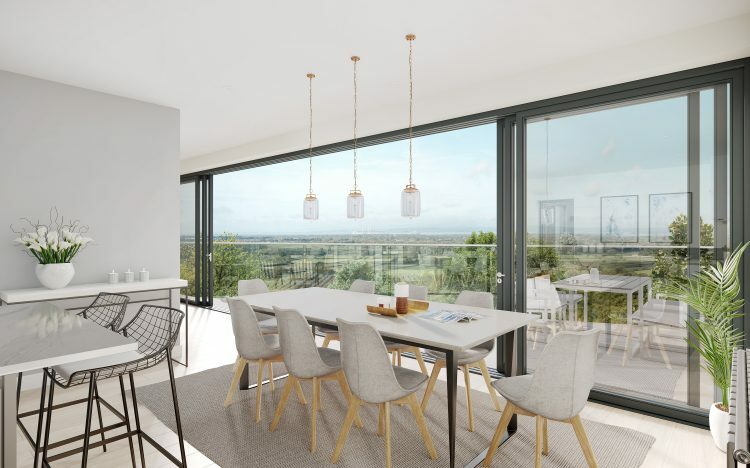 Steel frames will be required to the glazed rear of the houses to provide overall stability to the building and to support the glazed finishes. The lower ground floor slab and retaining walls will have a cavity drainage system which will discharge at the rear of the houses. The roof will be constructed using engineered timber joists, supporting the heavy sedum finish. 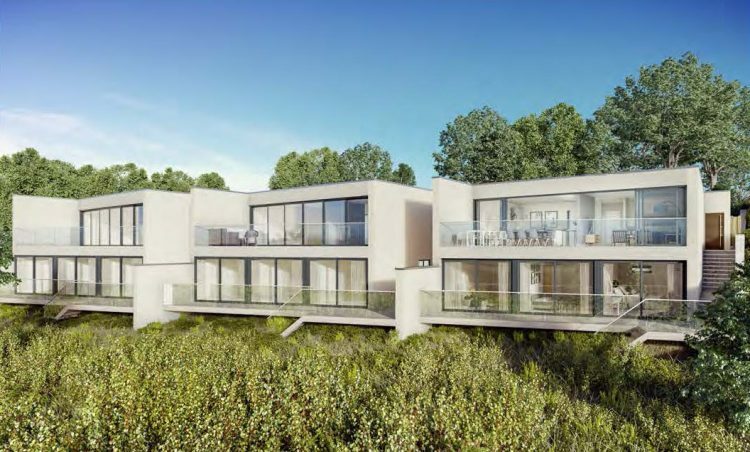 The steel beams within the roof will be supported by either embedment within the concrete walls or by the steel columns along the glazed elevation. Drainage will require a private packaged pumping system to discharge back up the hill for the foul drainage while the surface drainage is gravity fed into a soakaway to the rear of the site.